Ngahuia Trewartha Civil Celebrant brings years of experience into creating ceremonies for community, Marriage Ceremony, blessing mamas to be, rite of passage for brides to be, naming days & setting sacred beautiful spaces. Visit Ngahuias recent blog for all ceremony offerings. 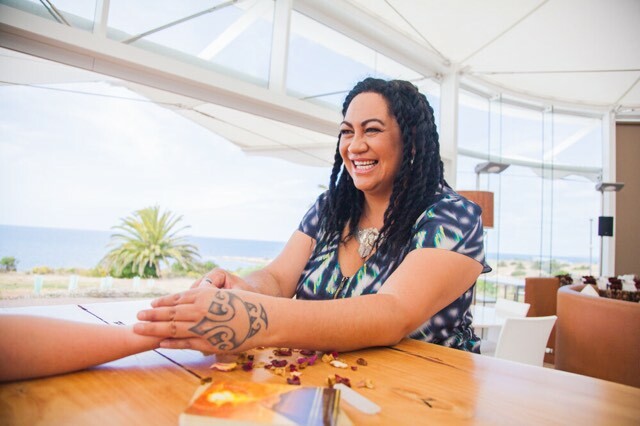 Aotearoa (NZ) born Spiritual Wellbeing Mentor & Entrepreneur Ngahuia Trewartha started her business with an optimistic heart over 12 years ago. Ngahuia is a mother of two & partner of a loving man began sharing Spiritual Wellness & Guidance in the community of Port Lincoln SA. Ngahuia, having shared a good part of her childhood living on the lakes of Rotoiti with her beautiful & witty grandmother, was nurtured into the traditional healing arts of Tinana (body) Hinengaru (mind) Wairua (spirit). Being in service for traditional Maori Ceremonies with her grandmother is where Ngahuia accredits her way of working with individuals and communities today.